Orlando yogis, we're here to stay! 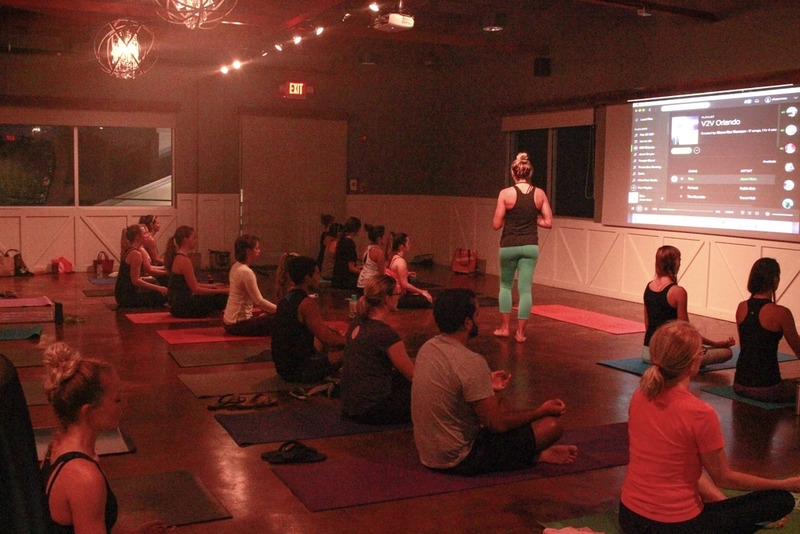 We were so thrilled to roll out the finest red yoga mat to kick off our Vinyasa to Vino series in your town. Our newest yoga teachers, Shawn and Steph, led a warming practice that opened our hearts to the beauty of East End Market, Orlando's food and cultural hub around local farms and artisans. After our refreshing practice, we sipped a locally-sourced wine, Quantum Leap. Since 2012, this sustainable winery has gone to the dogs! We tasted two of their most popular wines named after the special pups that call the space home. Thank you Orlando for welcoming us back with open arms. We are so thrilled to be here! Our next event is Bendy Brunch held at Quantum Leap Winery where you can watch how the real dogs get downward. Join us for this fabulous boozy brunch in the barrel tasting room. We can't wait to see you there!